Stop everything that you are doing, hold every horse, and concentrate, because, THE car is here, it is the newest Ford GT, and yeah, the best comes in a new generation, with a lot of carbon-fiber, F1 technology and an engine mounted in the middle. 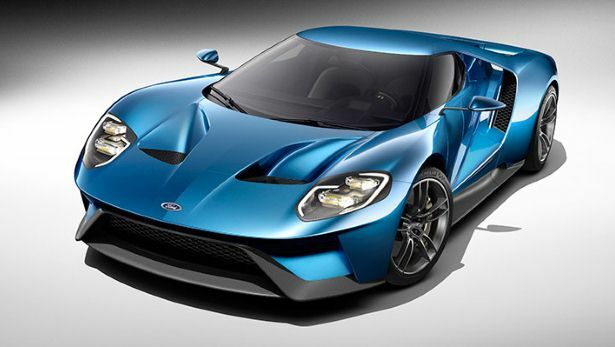 The Ford GT was first seen in the sixties, then 40 years or a bit more, in 2005, also in the Detroit Auto Show, it was named, the GT 40, because it is 40 inches-long, and it is to celebrate 40 years of the GT. Today, Ford pleases our eyes, and minds with the new one, it looks similar as the previous one, more futuristic, has all the new gadgetry, well, because now we live in the future, it is not the present anymore in the automotive world. Let’s start with what is powering the beast, a 3.5L twin-turbocharged EcoBoost V6, that produces, and hold on to your hats, 600 bhp. That is 50 bhp more than the GT 40, and with a smaller engine. All the power will be channeled to the rear wheels via a seven-speed transmission with paddle shifters. Top speed is estimated to be around 200 mph, and acceleration around 3.0 seconds from stop to 100 kph. The GT 40 is said to compete in the LeMans 24H. Ford did not tell much about the car, but more figures will come. Ford promises though that the car will have one of the power to weight ratios ever, thanks to its carbon-fiber passenger cell, carbon-fiber chassis, carbon-fiber engine tank and aluminium in the rear and front. Styling looks more European, and that is what catches the eye first, it is not a proper GT. It has active aerodynamics, a deployable rear spoiler, a lot of air vents, to channel the air through all the car’s body. The engine is now under a glass top, that looks more like the Gallardo’s or the R8’s. When you look at it from behind, it is a 458, merged in the spirit of a LaFerrari, side looks, it is an Aventador, with an F12 air vent. but it is still a Ford GT. In the front it still has the same hood, with the same air vents, it still has that angry look, from the GT 40, with LED headlights now, it is still aggressive, and that is what counts. The car has 20-inch alloy wheels, and ceramic breaks. Interior has adjustable seats, LaFerrari style, adjustable pedals, and wait for it, an F1 looking like steering wheel, with all the buttons, that will do things. It features a digital display, for all the technology geeks. Ford said that the recently introduced Sync3 system will be available in the GT. Doors will till open upwards. 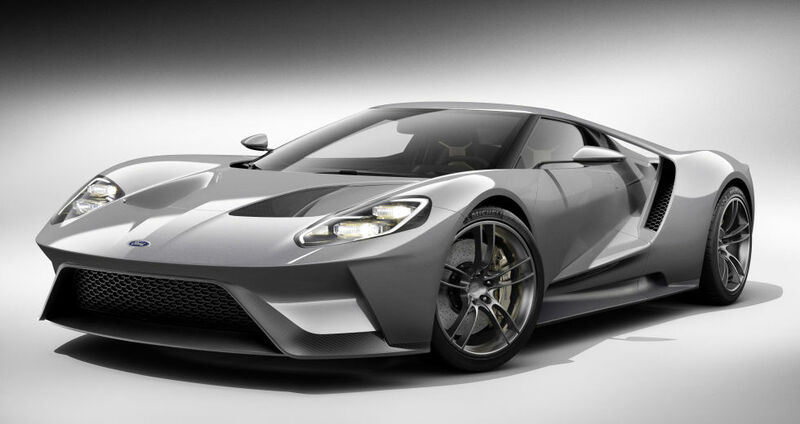 The Ford GT will enter in production in 2016, now Ford is just teasing, it is clear that it will compete against new, yet to be revealed coming cars, the 458 turbo, the McLaren Sport, but competition will surely be fierce.